Has anyone looked into taking Tesla motors and battery packs and making a Tesla powered MoHo? I would love to do this to my 1984 Airstream 310. My other thought was to buy a Atlis XP platform and fit my Airstream 310 body to it. Any thoughts on that idea? I think the pertinent comment is in the Atlis FAQ section...."by 2025, battery technology should allow for a 5 minute charge time" so by 2026 it will be worth considering. Tesla and MB are back in discussion on a new partnership. Much interest in a Tesla powered Sprinter. MB has said there will be an EV version of the Sprinter, most likely in Europe. Past partnership led to the BEV B-Class car that was powered by a Tesla drivetrain. Tesla itself is looking at Sprinters for their logistical needs. Stay Tuned. I've thought about it, I love the idea, I wouldn't say I've seriously looked into it. Mostly range. A tesla model x has a couple hundred miles range, physics dictates my 310 would probably get a couple dozen with the same batteries. There is also the hiccup of not being able to get this bus into a normal charging spot. When/if the Tesla semi comes out, a full tractor trailer with 600 mile range and 1-2 hour charging, then the tech might be ready. Based on some of the Tesla vehicle fires I've watched lately, I'd be slightly concerned that the gigantic lithium battery pack would be between me and my 310's exit door. I have had to go through the drivers window one day after my lock failed; but started on a ladder; going out the other way is quite the drop. Between you and the door? I wonder if the semi will have multiple packs, making it easier to split the location and distribute weight. If not it's just boxes and wires. I’m a believer. Am in the process of buying a 30 year old Airstream 345 in order to put my ideas into play. 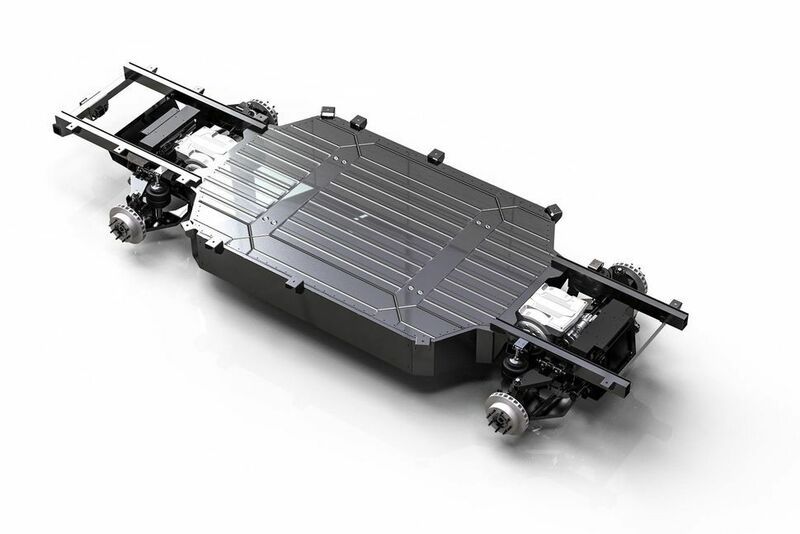 Am figuring two full battery belly pans from S, X, or 3, one performance rear motor (about 400 HP and equal torque), and a solar array to charge when parked. The solar array has to be pretty big to recharge depleted batteries in a few days. I’m planning on 1100 square feet of solar canopy/awnings to kick in 10,000 watts on a good day. For now a Tesla Powerwall is penciled in as the mediator between the batteries and the solar array. Will use a Tesla car CPU to manage the batteries (health, not acceleration). Have to design and build the cradle to contain the motor and bolt it to the engine environment and couple it with the drivetrain. I plan to be very transparent about the process. I’ll have a tech blog to share specs, experiences and videos of the progress. Once on the road we will have a live feed of our energy production from the solar array (and regenerative braking) and how much energy we burn (driving, cooking, cooling/heating...). Sounds like an exciting project, I look forward to seeing more of it, keep us posted! Purchase confirmed: 1988 345 out of Phoenix. Should have it in Seattle by March. Present owner generously offered to drive it up for the cost of fuel. We’ll take it on the road for a month to experience the environment and make notes on what we’d like to customize. It will also allow us to document MPG, power usage, general energy use (propane, shore line, house batteries...) to give us a base line for gauging the impact of the planned alterations. Then the hard work begins! I love this project. Too ambitious for me, but I will follow it closely. I've done a lot of research, and built a prototype, of the ultimate solar system for RV's. LOVE it! Please start a blog on your work, I would love to follow you. Seller drove it up from Phoenix yesterday. We are very pleased. Very good condition 1988 345. Interior is clean, no musty or cooking scents. New tires, shocks, brakes... The outside is tattered: oxidized, scratched, some passenger side thumps, but all in all, good. No smoke from the engine running nor after sitting for a day. This will be the proof-of-concept vehicle. Several months of planning, a month or so of work, and we should have our first test bed on wheels. Very excited. I will share the blog link once it is up and ping back here to gain knowledge and share project updates. And if I could figure out how to link to an image from my Dropbox, well then there would be a photo instead of the little square above this sentence. Sigh. Here is where we start (after a year of pre-prep).